The Blind Spot Monitor system allows the driver to manoeuvre more safely during lane changes. If the rear-mounted radar sensors detect a vehicle in your side or rear blind spot, a warning indicator will illuminate on the appropriate side mirror. Should you indicate to change lanes and a vehicle is in your blind spot, the warning indicators will ﬂsh to alert you that a lane change should be avoided. Toyota Safety Sense’s Adaptive Cruise Control keeps a minimum preset distance from the vehicle in front. If this distance falls, the system reduces the speed and eventually the brakes will be applied and brake lights activated. If the distance increases again, it will gradually accelerate until the driver returns to your chosen cruising speed. Simple IPA automatically manoeuvres you into your chosen parking spot whether between two vehicles or behind one. Using ultrasonic sensors on the front side-bumper to identify a suitable parking space, once engaged, the system automatically performs the steering operations. You simply have to control the reversing speed and let the Simple IPA park your vehicle. 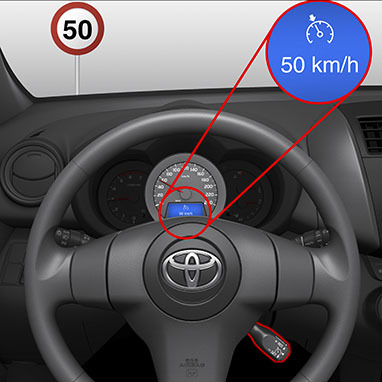 Using a camera to detect the lane markings in the road ahead, Toyota Safety Sense's Lane Departure Alert will alert the driver with audible and visual warnings if the vehicle starts to deviate from its lane without the turn indicator being applied. Steering Control applies corrective force in the case of unintentional lane departure. RCTA allows you to reverse out of a parking space safely by detecting other vehicles approaching your blind spot area. 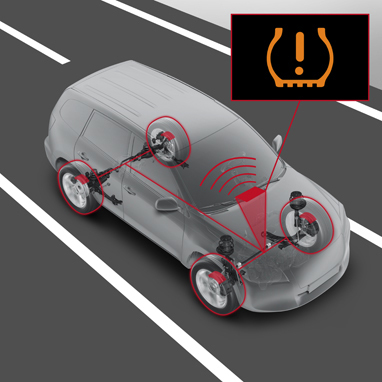 Using quasi-millimetre wave radar, RCTA alerts you with a buzzer and flashing indicators on the outer mirrors. Head Up Display projects key driving information onto the windscreen directly in front of you, including the vehicle speed. You keep your eyes safely on the road.